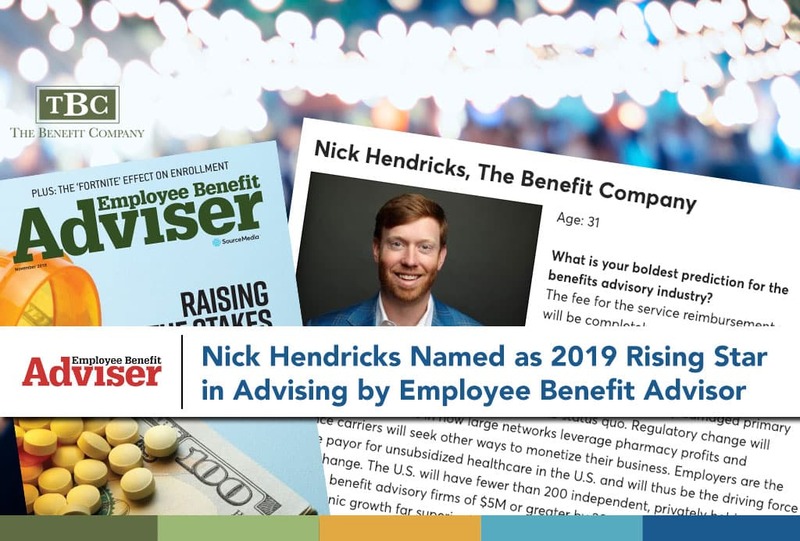 Employee Benefit Advisor (EBA) has selected Nick Hendricks as a 2019 Rising Star. Nick is one of only 20 consultants selected nationwide. He represents a new generation of leaders focused on reengineering a broken healthcare system. A native of Habersham County, Georgia, Nick is a Risk Management and Insurance graduate of the Terry College of Business at the University of Georgia. He holds Georgia Accident & Sickness and Life licenses, is certified in Self-funding through the National Association of Health Insurance, is a Group Benefits Associate, and a Group Benefits Disability Specialist. In 2016 Nick was recognized as one of the Atlanta Business Chronicle’s 30 under 30 Who’s Who. Please join us in congratulating Nick on his selection to the EBA’s 2019 class of Rising Stars in Advising.